Heated Seats, Dual Zone A/C, Premium Sound System, Aluminum Wheels, Back-Up Camera, Keyless Start, Bluetooth, iPod/MP3 Input. TRD SE trim, RAVEN exterior and RED interior. FUEL EFFICIENT 28 MPG Hwy/21 MPG City! AND MORE! KEY FEATURES INCLUDE Heated Driver Seat, Back-Up Camera, Premium Sound System, iPod/MP3 Input, Bluetooth, Aluminum Wheels, Keyless Start, Dual Zone A/C, Heated Seats. MP3 Player, Remote Trunk Release, Keyless Entry, Steering Wheel Controls, Electronic Stability Control. Toyota TRD SE with RAVEN exterior and RED interior features a 4 Cylinder Engine with 205 HP at 7000 RPM*. EXPERTS CONCLUDE Great Gas Mileage: 28 MPG Hwy. 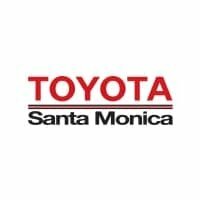 WHY BUY FROM US Toyota Santa Monica is just waiting to assist you in any & all of your Toyota needs. Our vehicle model floor is stocked only with the hottest new Toyotas, all available to you for incredibly affordable prices you'll love. We are proud to possess great options for every individual driver and his or her own unique lifestyle. We've got what you're looking for. Horsepower calculations based on trim engine configuration. Fuel economy calculations based on original manufacturer data for trim engine configuration. Please confirm the accuracy of the included equipment by calling us prior to purchase.